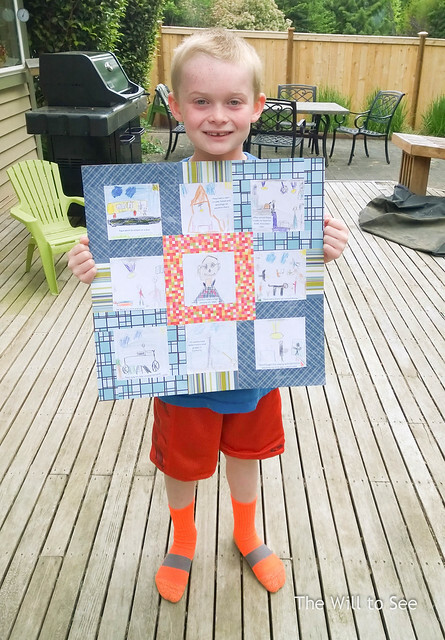 Jack’s last school project for this year was a quilt project where he had to interview a family member two generations older. He chose to interview Papa, my Dad. After the interview he picked an answer from each category, then drew a picture and wrote a sentence about it. 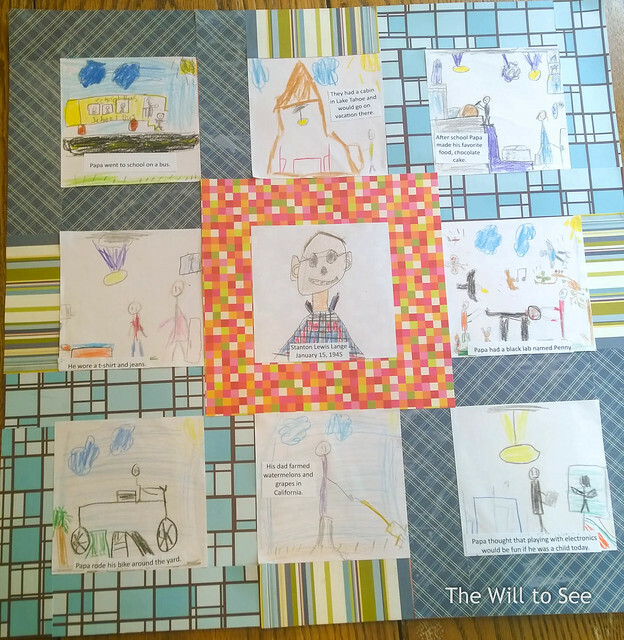 Once all nine of the pictures were complete he used scrapbook paper to cover the poster board and make it look like a quilt. Finally he had to present it to his class. Jack did such a great job on his project.